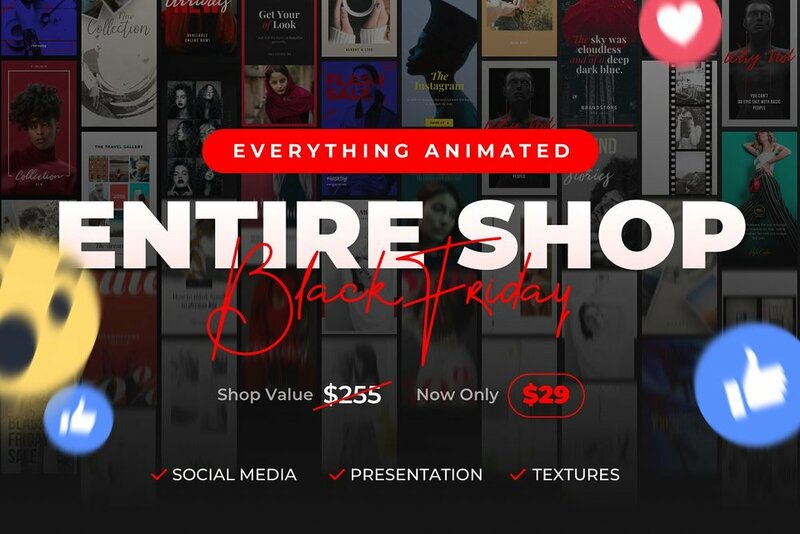 16-ANIMATED Social Stories Template, from SevenBox, an easy to use photoshop template to bring your static images to life. All you need is Photoshop CS6 or higher (no extra Apps needed) and a basic knowledge of it. And the best thing? You don't have to deal with the animation process itself – everything is already animated and you only have to change text, images, color and so on. You will also get an access to an easy to follow Video Tutorial.